Kellogg Co is engaged in the manufacturing and marketing of ready-to-eat cereal and convenience foods. Its products include cereal, cookies, crackers, and other packaged foods. Kellogg Company has declared quarterly dividend of $0.5600 (+3.7040% increase). It goes ex-dividend on 08-31-2018 and is payable on 09-17-2018. Kellogg Company has 13 years of consecutive dividend increase. Bank of America has declared quarterly dividend of $0.1500 (+25.0000% increase). It goes ex-dividend on 09-06-2018 and is payable on 09-28-2018. Bank of America has 4 years of consecutive dividend increase. Community Trust Bancorp Inc is a bank holding company. The company provides commercial and personal banking and trust and wealth management activities. Community Trust Bancorp, Inc. has declared quarterly dividend of $0.3600 (+9.0910% increase). It goes ex-dividend on 09-13-2018 and is payable on 10-01-2018. Community Trust Bancorp, Inc. has 37 years of consecutive dividend increase. Hershey Company has declared quarterly dividend of $0.7220 (+10.0610% increase). It goes ex-dividend on 08-23-2018 and is payable on 09-14-2018. Hershey Company has 8 years of consecutive dividend increase. Landstar System Inc is an asset-light provider of integrated transportation management solutions. The company offers services to its customers across multiple transportation modes. Landstar System, Inc. has declared quarterly dividend of $0.1650 (+10.0000% increase). It goes ex-dividend on 08-10-2018 and is payable on 08-31-2018. 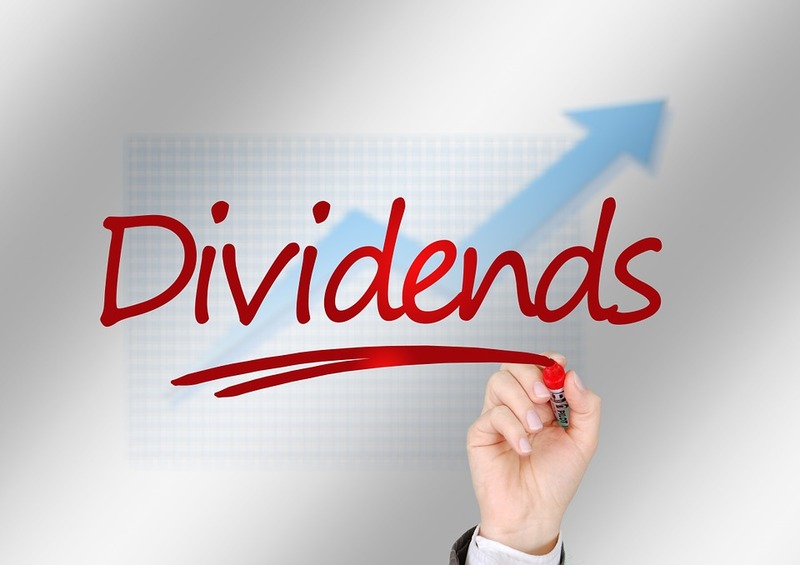 Landstar System, Inc. has 13 years of consecutive dividend increase. BOK Financial Corporation has declared quarterly dividend of $0.5000 (+11.1110% increase). It goes ex-dividend on 08-10-2018 and is payable on 08-27-2018. BOK Financial Corporation has 13 years of consecutive dividend increase. ONEOK, Inc. has declared quarterly dividend of $0.8250 (+3.7740% increase). It goes ex-dividend on 08-03-2018 and is payable on 08-14-2018. ONEOK, Inc. has 15 years of consecutive dividend increase. Wells Fargo & Company has declared quarterly dividend of $0.4300 (+10.2560% increase). It goes ex-dividend on 08-09-2018 and is payable on 09-01-2018. Wells Fargo & Company has 6 years of consecutive dividend increase. PetMed Express, Inc. has declared quarterly dividend of $0.2700 (+8.0000% increase). It goes ex-dividend on 08-02-2018 and is payable on 08-10-2018. PetMed Express, Inc. has 6 years of consecutive dividend increase. As always, a pleasure. Further, I had no idea on Kellogg, good info to have! Thank you. Another great list DivGeek - but don't go giving Global Gary too many good ideas - I don't need both him and Ian giving me a pasting with their investment returns! Thanks for the updates on the dividend increase, I own BAC and WFC so a nice bump for me.